This morning we saw him. We went to my 32-week appointment and ultrasound...very eager to see his size. He has been consistently above the 97% percentile...and he was today too. And I supposedly have 8 weeks to go? 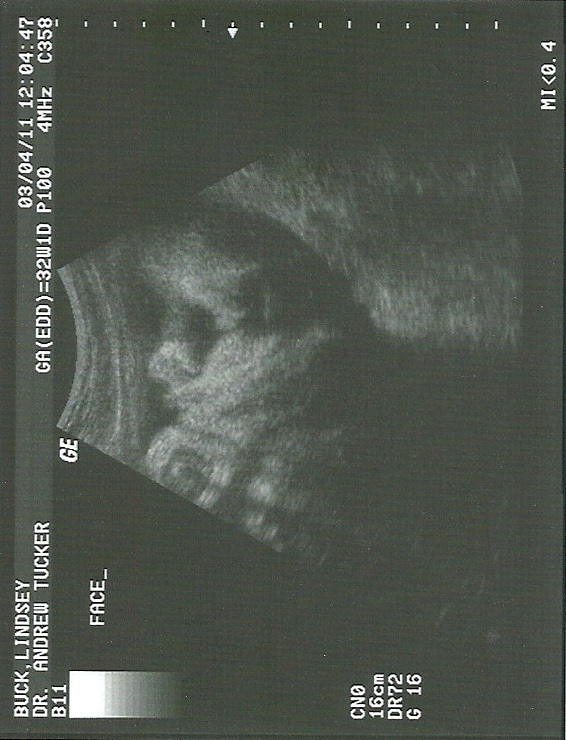 So the details: he's 5lb 9oz. He's measuring about 36 weeks. He is head-down. When I told the doctor about the constant pain in my upper abdomen, he looked at me and said "Well....yeah...you've got a big baby in there." 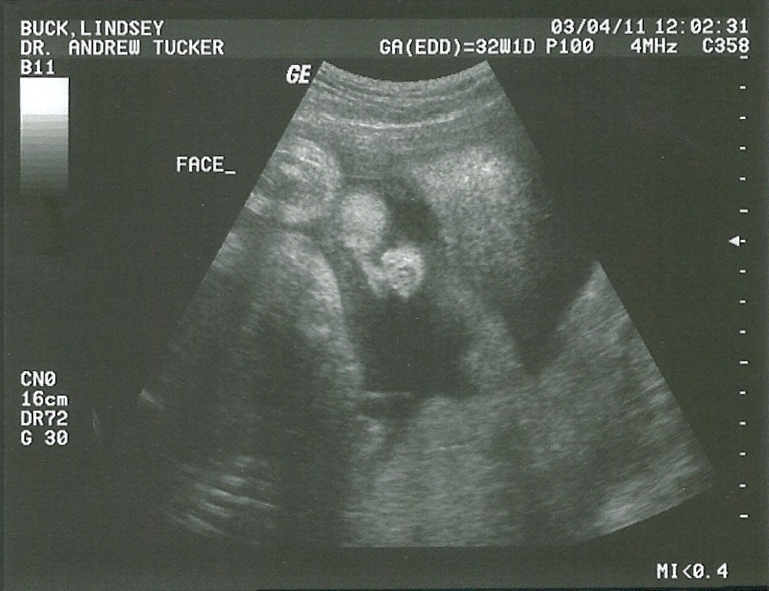 The reaction from the sonogram tech was this oh-my-goodness expression followed by an estimation of a 10lb baby. 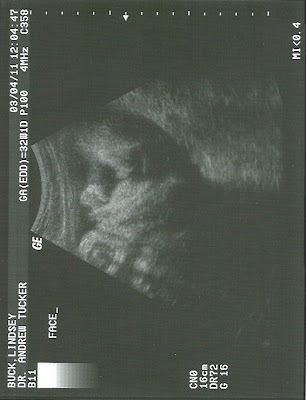 And the interesting thing is Hannah was not that big - 7lb 7oz at birth and (other than her head) never measured very big. Contrary to what a couple people have suggested, I don't have gestational diabetes. My glucose test was normal. Joseph is just big. Like the two Josephs before him. So far anyway. Here he is! Probably easier to see if you have looked at ultrasound images a lot. Probably very confusing if you haven't. You are looking at his face. In the first image, he is on his side looking straight at you. In the second one, you are seeing his profile facing left. He had his right arm in the way the whole time. His little button nose looks identical to Hannah's. The plan is to have another ultrasound at 36 weeks. As of now the doctor is projecting a baby around 38 weeks. His concern is that I am small and my baby is not small. Simple as that. Simple, right? I just lost two weeks! So. Let the nesting begin. Though I think I actually started that weeks ago. I've been in a de-clutter and organize mode for a while (or maybe that's just me) and I've got a list of projects in my head. My first project was getting Hannah's baby book done. Finished this week. I do love to check things off a list. do you know about these?